Recently I’ve taken part in an online photographic project: #100Happydays. I’ve tried blogging before with limited success, but I found it easier to link words to my photos – both are vitally important to me as a communicator. Let’s see how this goes. The photos will be a mixture of old and new – favourites from my own personal gallery and new ones I add as I explore the world further. This was taken in Penarth in Dec 2013. It was a mixed day of heavy hail showers interspersed with periods of sunshine. Windows, doors and archways are a favourite theme of mine – I like to frame my view of the world. Penarth is also likely to crop up again as I have family connections and visit frequently. 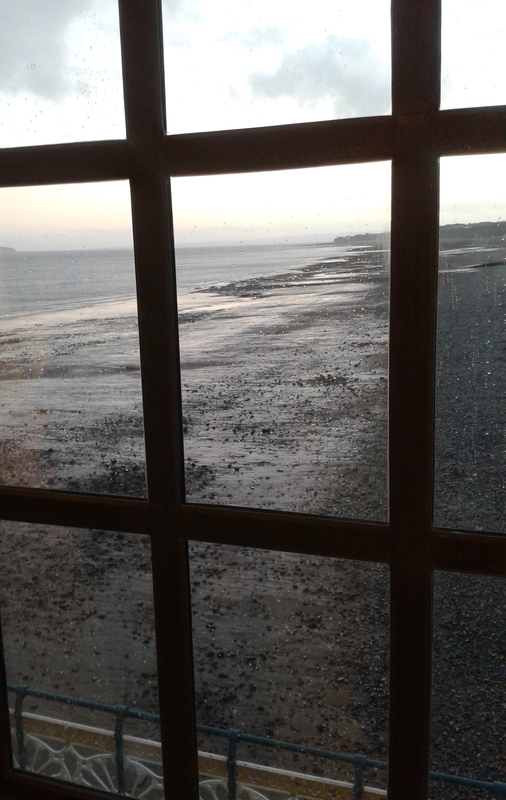 I found this view through a window in the gallery overlooking the exhibition hall in the restored pier.